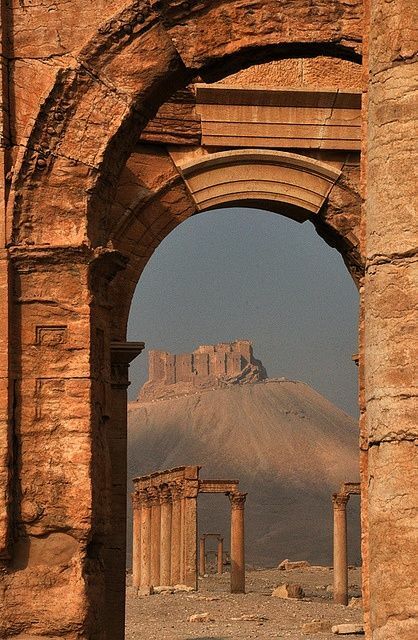 The ancient ruins of Palmyra are situated about 500 meters southwest of Tadmur. Palmyra (Hebrew: תַּדְמוֹר, Modern Tadmor Tiberian Taḏmôr; Ancient Greek: Παλμύρα; Arabic: تدمر‎; Tadmur) was an ancient city in central Syria. In antiquity, it was an important city located in an oasis 215 km (134 mi) northeast of Damascus and 180 km (110 mi) southwest of the Euphrates at Deir ez-Zor. It had long been a vital caravan stop for travellers crossing the Syrian desert and was known as the Bride of the Desert. The earliest documented reference to the city by its Semitic name Tadmor, Tadmur or Tudmur (which means “the town that repels” in Amorite and “the indomitable town” in Aramaic) is recorded in Babylonian tablets found in Mari. 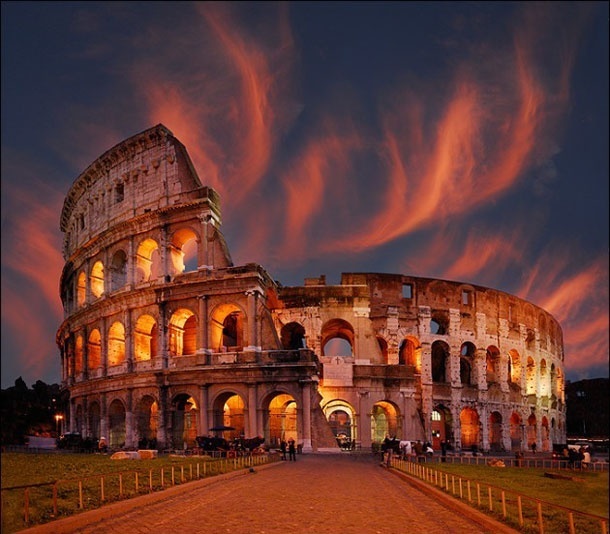 Even today, in a world of skyscrapers, the Colosseum is hugely impressive. It stands as a glorious but troubling monument to Roman imperial power and cruelty. Inside it, behind those serried ranks of arches and columns, Romans for centuries cold-bloodedly killed literally thousands of people whom they saw as criminals, as well as professional fighters and animals. Indeed, it was the amphitheatre’s reputation as a sacred spot where Christian martyrs had met their fate that saved the Colosseum from further depredations by Roman popes and aristocrats – anxious to use its once glistening stone for their palaces and churches. The cathedrals of St Peter and St John Lateran, the Palazzo Venezia and the Tiber’s river defences, for example, all exploited the Colosseum as a convenient quarry. 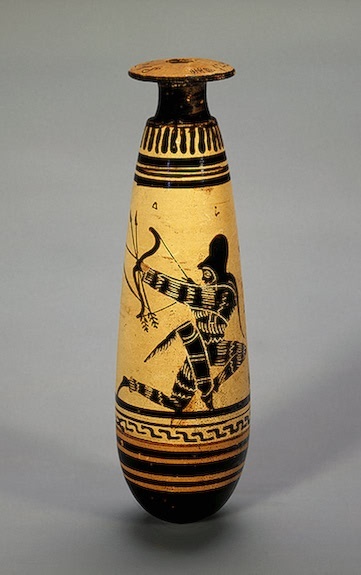 Ancient Greek warriors became the premiere warriors of their classical world. Through intense internal warfare they perfected heavy infantry tactics and when they were united they were able to defeat an invasion by Persia, the super power of their day. The heavily outnumbered Greek warriors called hoplites used superior tactics, training and arms to defeat two massive invasions. However, the Greeks returned to their incessant warfare once their common enemy was defeated. Philip of Hellenized Macedonia, king of what the Greeks considered a barbarian kingdom to their North, learned and even improved the Greeks phalanx formation and eventually dominated Greece. His son, Alexander the Great, then took the Macedonian and Greek warriors he inherited from his father and conquered the known world. Greek culture, called Hellenistic, became dominate from Sicily to India.